Our team works with you to ensure that you get the design and craftsmanship that you want. We install beautiful, healthy plants, to ensure a long lasting space for you to enjoy. We also build custom hardscapes including anything from: Decks and Patios, to Water Features and Firepits. Greg worked with landscapes and golf courses while he was in school and enjoyed it immensely. After college, he spent a number of years in both commercial fishing and banking, Greg decided to go back to those landscaping roots. 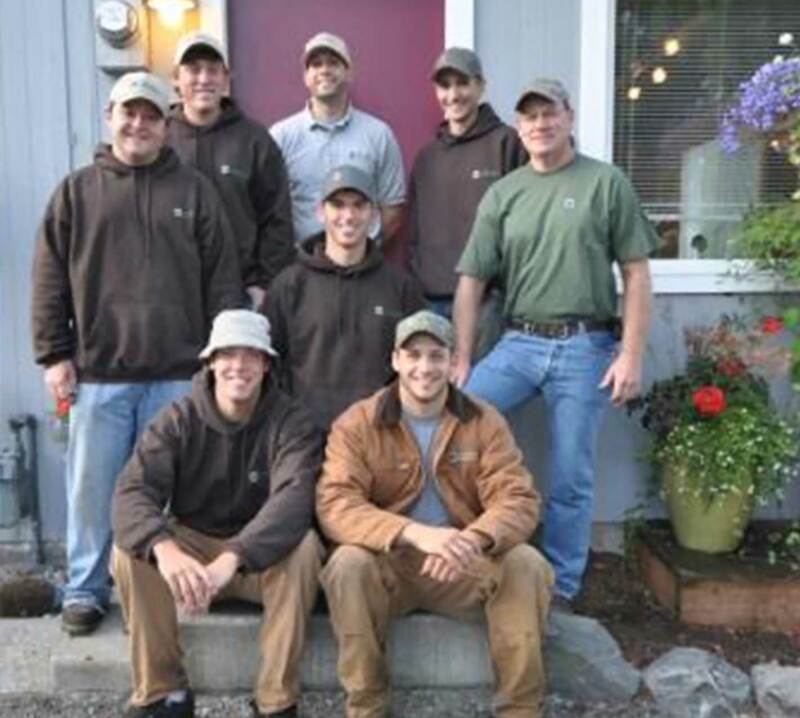 After mentoring with a long time landscape business owner, The Mukilteo WA Landscaping Company was launched. Deby, his wife, had long worked in business management, consulting and marketing. She brought those skills to The Grounds Professionals to provide office support, marketing, advertising and community involvement. Deby found her love of the landscape early on with her color planting services and spent years learning all the ins and outs of annuals and perennials. She began to work with Greg on the landscape plantings, believing there wasn’t any reason to not have color year around. She started providing detailed landscape design and quickly went on to win a State of Washington Landscape Award for her design work. Greg and Deby are both graduates of Western Washington University with bachelor degrees in Business Administration. 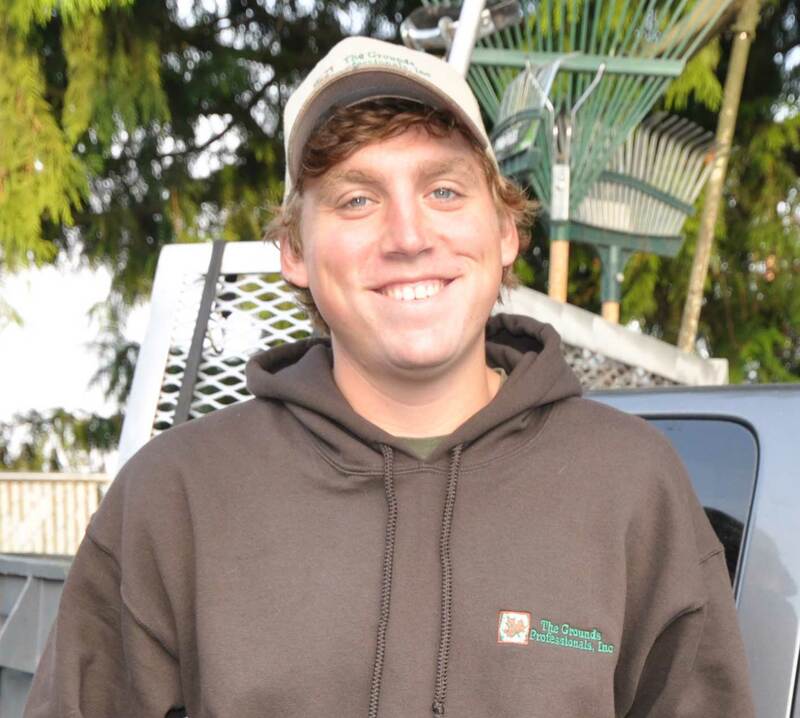 Shortly after launching the business Greg started performing routine landscape maintenance for a large fast food account, providing services to over 60 restaurants from Olympia to Oak Harbor. Although they no longer service this particular widespread multi fast food account, they credit this early work for providing a firm maintenance commitment and knowledge foundation. With over 25 years of experience under their belt, they continue their long tradition of creating and maintaining beautiful landscapes for all types of homes and properties. Why does my garden only look good during the spring? It is common mistake to make in picking your plants all at the same time at the nursery, often in the spring when we are thinking of gardening, and selecting all plants that look good then. Instead a garden should be planned for color in all for seasons and planted accordingly. Here is Western Washington we have something blooming in each of the twelve months of the years, as well as the wonderful foliage colors available throughout the year. What should I do first to renovate my yard? Develop a plan for your entire outdoor living space. You may implement your plan in stages over a number of years, but you want to anticipate all future improvements, so that you maximize your yard potential and minimize any wasted money and effort now that would need changed in the future. What should I spend money on first in my landscape? Hardscape should always be your first choice when you are starting your new landscape. You need to provide the “bones” for your landscape, before you plant the texture and color. You can always add or move plants, but you may not be able to access the area or re-contour the grounds in the future. In addition, the hardscape creates not only useable outdoor living space, but color in your landscaping as well. What is the biggest change you see added to landscape designs for the NW in the last 5 years? Probably the most included new item in landscapes recently is the addition of gas firepits to plan. With the cool weather and evenings here in the Northwest, a heat source increases your outdoor living space usability significantly. The ambiance created by such a feature is also a huge consideration. What is the one item you would have in your landscape that many do not? Outdoor lighting has changed significantly in recent years with the improvements in availability in LED low voltage lighting. The new LED is extremely efficient in energy usage, warm and natural in color and incredible low maintenance, making it a perfect choice for outdoor lighting. It not only increases the hours your outdoor living space in useable, but provides a mood setting for the entire yard. It has been described as “feeling you are staying at a posh resort every day of the year”.